Just over a week ago I purchased a starter pack from Gelicious Hybrid Gel Nails as a Christmas gift for my mum. So naturally, as soon as it arrived in the mail, I opened it up and checked it out. I had already told mum I thought I had found the perfect product for her, but I needed to try it out to make sure. Gelicious hybrid gel nails are a soak off gel system, which I believe are the same as the CND Shellac and other soak of gels. I don't have any experience in using any other gel or shellac systems, but I can share my experiences about Gelicious. The Gelicious hybrid gel nails are nothing like the the gel nails that you can get at a salon. There is no buffing or other prep required and removal can be done at home in minutes. Gelicious is an Australian company based in Sydney and their customer service (from my experience) was fantastic. I ordered my package on Monday evening and received it on Wednesday. One of the things I read that gelicious could help with was repairing breaks. Amazingly, just 10 minutes before the delivery arrived, I broke the corner off my nail. Any ladies that sport square or squoval nails would know that these little corners come off quite easily. Anyway, I decided to see how gelicious would go at repairing my corner. Voila! Looking back now, I can see I applied the gelicious a little too thick and there was a bump near the tips of my fingers making the tips look a little thick. The gel held the corner there for about five days, until I removed the gel and filed my nails down. I ordered the optional base coat starter pack, which came with a clear base coat (shown above - which is clear, the yellow is my stained nails), the top coat and the LED curing light. I spent several hours on the gelicious.com website trying to choose a coloured polish to try out too. I'd have to say this was my only frustrating experience. I wasn't able to find any decent nail swatches of all the colours so I could easily choose which one/s I wanted. Based on descriptions alone I chose Gold Digger, which was described as "the colour of gold, we have scaled the golden/yellow tones right back to create an elegant and wearable gold on any skin tone". Sounded good, but would it be? Here is two coats of Gold Digger and one coat of top coat. 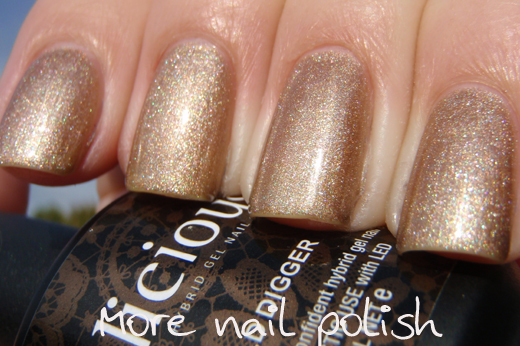 Each coat of Gold Digger was cured under the LED UV lamp for one minute, then top coat was cured for two minutes. It really is a lovely champagne gold, and not a yellow gold. I do think it would suite any skin tone like they said. Here is Gold Digger in the shade. You can see some light brush marks, but because the polish doesn't dry until you cure it under the LED light, you can keep going over the nail until you are happy you have the brush lines neat enough. The brush marks certainly didn't bother me or make this polish seem too frosty. I love that this is a very neutral fleshy colour (which sparkles in the sun). 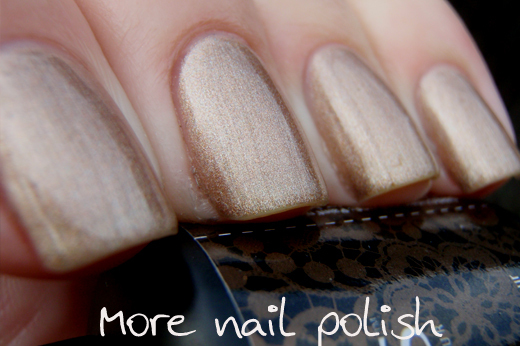 It really is a fantastic base colour to paint your nails and then paint other colours over it. Which is exactly what I did with Color Club Cherubic. 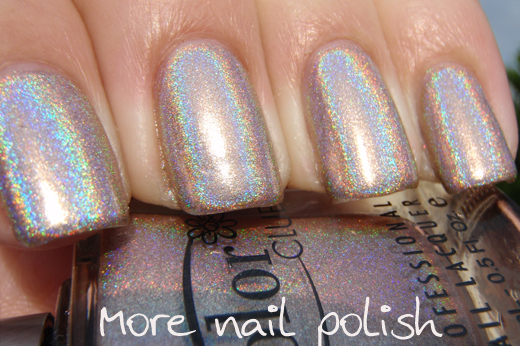 The very, very high shine gloss that the gelicious polish finished with was perfect for a holo. I tried two types of removal. 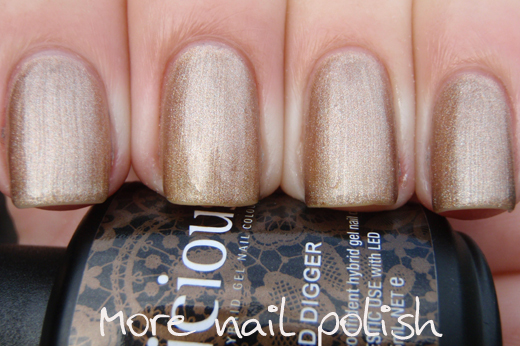 I soaked off the first clear coat mani I did and I used the foil method to remove Gold Digger. Below is a photo of my thumb after I soaked it off. You can see that the polish turns into a jelly like consistency and you can easily scratch or rub it off with a cotton wipe. You can also see on the below photo, the remnants of blue polish. I also tried out wearing a PVC glue basecoat on top of the gelicious for a heavy glitter mani. The glue applied well, but I had quite a bit of difficultly peeling it off, in fact I wasn't able to peel it off like I normally do (even in the shower), it only came off in little bits. Because I was really picking at the PVC glue to remove it, it chipped some of the gelicious off too. So I don't recommend trying a PVC glue base, it just doesn't make it easier to remove the polish. The best option for removing a glitter mani is still using the foil method with acetone-free polish remover. Here is my foil-less foil method. I use those rubber finger thingos from a stationary store that you use to flip paper pages. I put the acetone on a cotton swab and then pull the rubber tip on top. Ten minutes later the polish all just fell off. I'm very lucky that I have naturally strong nails. I don't really need to use a product like gelicious to provide my nails with strength, and because I change my polish daily I wouldn't ever use the variety of colours that this is available in. However, my mum on the other hand is always complaining about her peeling and flaking nails. As soon as she gets a little bit of length, they break off. These hybrid gel nails are going to be perfect for her. Within an hour of me trying them out, I handed it over to mum for her do a mani - she was very excited about it, and thrilled with the results after using them for just over a week. You can apply just a very thin layer of base and top coat and the final result doesn't end up looking thick and artificial. The first time I applied the gelicious, I did a rather thick coat, but I've since learned that I don't need to do that, they are just as strong with thin coats and the final look is much nicer. 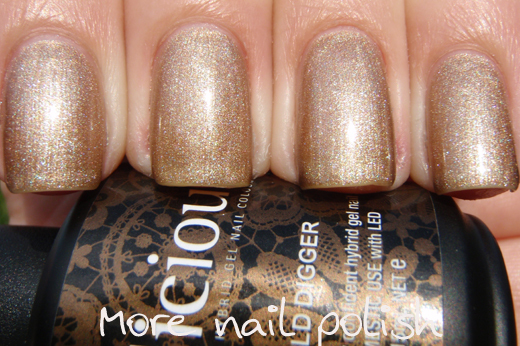 I also love Gold Digger as a neutral base, you can remove your polish with acetone free remover, but your not left naked. I love the high gloss finish, its the perfect base for picky polishes like the Layla Mirror effects. When I swatched the Layla Mirror polishes, I buffed my nails to get a high gloss finish, and shortly after that I got bad yellow staining. Once you start buffing its hard to stop because of the noticeable demarcation line between smooth and ridged nails. But the gelicious system covers that all up. Finally, the gelicious protects my nails from future staining. So I'm actually considering sticking with the clear base coat so I can grow out my yellow stains. I'm really happy with the product, and if you're an Aussie looking for an at home hybrid gel nail pack, then you should definitely check out gelicious! So how many of you out there use soak off gel nails at home and what brands do you use? Wow, there are a lot of brands out there to try. I love the fact that you can change colours multiple times and keep the strong base. What a shame you have had trouble removing them. i'm guessing it would be harder to remove if you did thick coats, mine were very thin and came off quite easily. Just saw your swatch of Dip in the Pool. Yours is a blue, mine is nothing like yours, it's more of a green....totally different but definitely the same product. How weird is that! Great review. 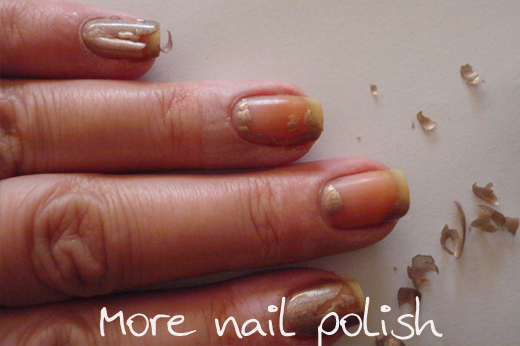 Gelicious works miracles for people who have fragile nails. Could you please do some more swatches of the Gelicious hybrid gel range? 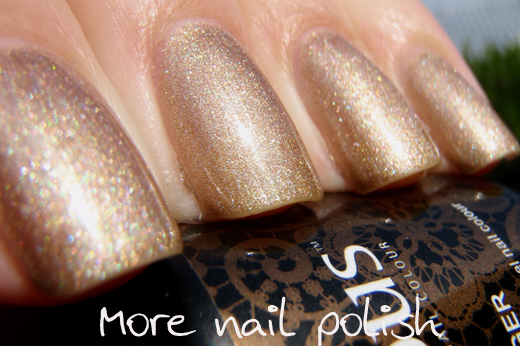 Just like you've shown here so we can see the colours and shimmers and whatever else that the Gelicious polish has. Terrific Aussie product! Thanks Catkin. 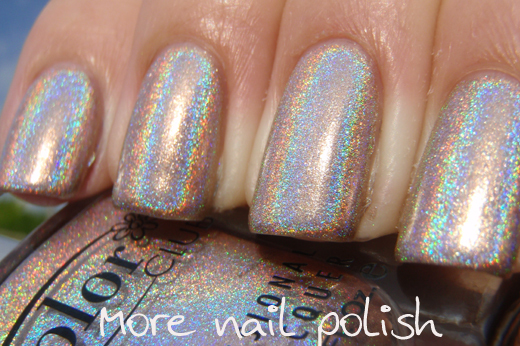 Hopefully Gelicious will have some swatch photos soon so we can both check them out! 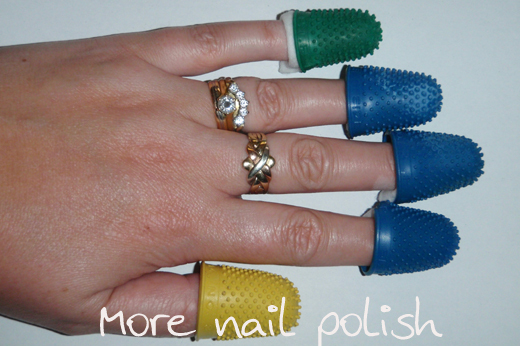 ooohhhh these look like a godsend as I have very weak flaky nails and now wear my tips in an oval shape because I was so fed up with missing corners! 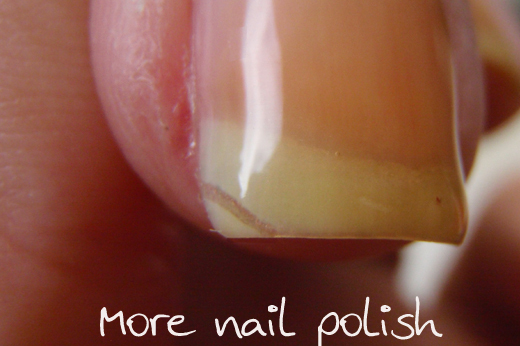 You will love this solution to weak flaky nails Kittensilks. I'm totally over the moon with this product and its versatility and my nails look real - not thick like the salon nails. It is really easy to use and quick too. My own nails are now much healthier too. I agree with Catkin, I do think this system would help with peeling nails, especially if you wrap your tips with the gel polish too. In the states we have Gelous sold at Sally's - thought at first that was what this was. I have a lamp but I need to get a new one that is LED - I have the older UV and it takes longer plus I don't like the idea of UV on my nails and hands. I should have waited 2 more months before I bought a lamp and then the LEDs were being sold - darn it! But what I have found is you don't need to only use the gel lamp cured polishes - you can use any shade you have long as you use an LED or UV lamp top coat. I don't even use my lamp cured base anymore - I use my old fav base. 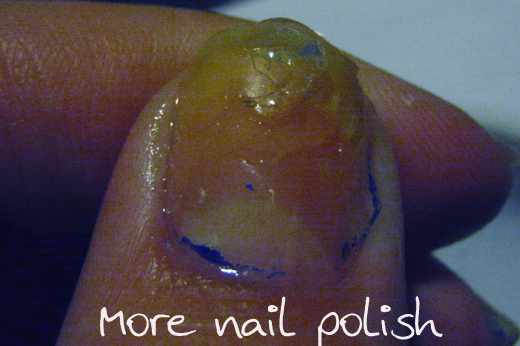 So do give that a try...that was a huge thing for me because I have sooo many polishes that I still love and want to wear - but extending the wear time is really good with a lamp and the curing top coats. Thanks beach gal. I didn't know you could just use regular polish with the gel top coat. That sounds like it would be great of gritty glitters. My wedding ring is the 3 tone puzzle ring, like yours! They're lovely, aren't they? I didn't really think I need them, cause I have naturally strong nails, but I love how it fixed my broken corner. I love Gel! I have the whole kit & lots of colors. It's a great product! I have almost every color known to man. Slightly obsessed. Only thing is that I found the Gelish (another brand) do the best base and top coat. If you are buying because you have weak nails both Gelish and Orly Gel FX have a base coat that has vitamins and strengthener in the formula. The other thing with the Gels is that you can press in loose glitters/eyeshadows/pigments and then do the top coat. I have found its the easiest way to make a neat gradient. Thanks Miss Kate, I love your idea with pressing in loose glitters etc before the top coat. 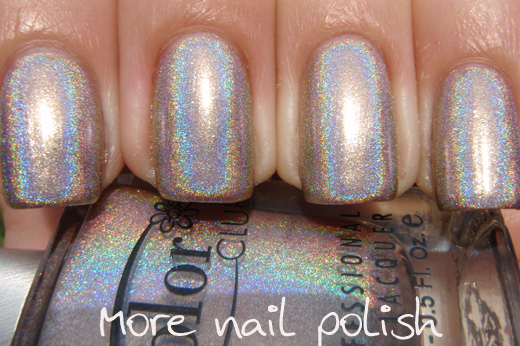 I thought the Color Club was a holo gel polish and almost lost my mind! im sop glad you loved gelicious cathy! you should get the black! i got the base and top coat and a till noon and it is awesome for duochromes and flakies cause you do not have to keep putting on a black base coat. especially when you swatch so much!i have had the black on for 4 days now and color club snowflake and not a single chip! Oooh I dont think I've seen this brand before - I bought a UV lamp from Scoopon ages ago and still havent bought any gel polishes cos I'm just not sure what I need! But you've made it look so simple haha. Is it just a matter of buying a base coat, top coat & colour? Treated myself to the Gelicious kit for Christmas as well and very happy with the ease of use. After 5 days have just got a tiny chip on one thumbnail. Going to try and do a repair rather than start all over. Great Aussie product! I would really love to buy a shellac gel polish kit for home but I am unsure whether to buy Gelicious brand or PolyLock™ Hybrid LED Soak Off Gel Nail Polish. Anyone who uses gelicious, how long does the polish last before it starts to chip?? Any advice on either of these brands would be extremely helpful. I've not used PolyLock, and while I do use Gelicious, I don't usually wear it very long at one time, especially because I'm changing my nail polish on top of the gel every day, I find the gel gets soft and only lasts no more than three days. However, my mum wears gelicious everyday. She usually wears on manicure for 7-10 days before she takes it off. She occasionally gets a chip, but usually her nails still look ok at the end of that time, and just need redoing because of regrowth and filing. That is amazing that you noticed my puzzle ring. My mum gave me a silver one when I was a young girl and taught me how to solve it. I remember when my husband bought me this one in the store and I took the wire holding it together off the back and pretended to drop it onto the counter and it fell apart. The Sales Assistant freaked out saying 'oh no, none of us know how to solve them, you have to keep that wire on there'. I was then so pleased to whip it together right before their eyes. I've not seen very many people wearing these puzzle rings. Hi Ladies, I would like to know, if having a warm bath, doing dishes etc, affect the gel polish. The way Ive seen them removed is to use warm water, Im a nail tech, but Im confused about this side of this brand. I've never had a warm bath or doing the dishes affect my Gelicious polish. We have a pool and swim a lot in summer and I find that Gelicious lasts really well, unlike regular polish which flakes off after a few hours in the pool. I needed to soak off with Acetone to remove them.